Bright Club - May 7 2014 - part of Oxford Brookes' OutBurst Festival! 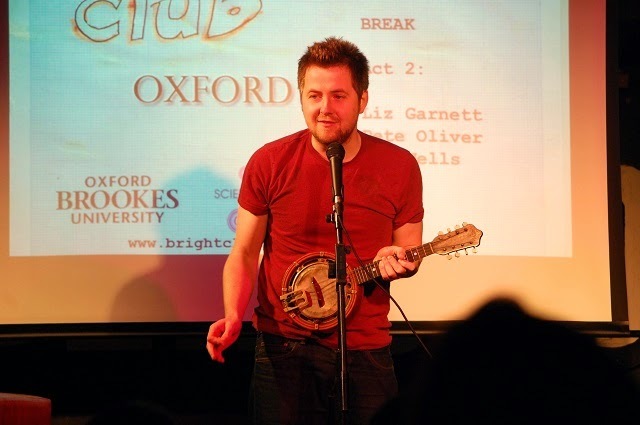 The 'Best of Brookes' Bright Club will take place at Pegasus Theatre on Weds 7 May 2014, as part of Oxford Brookes University's annual OutBurst Festival, bringing great ideas, activities, and entertainment right to the doorstep of the Oxford public. 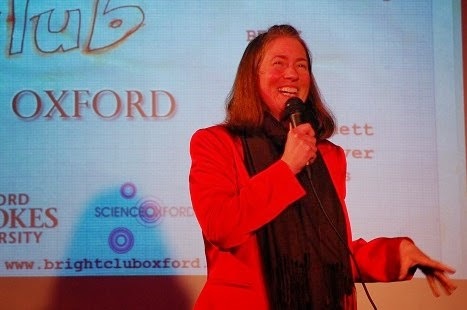 One of these events will be Bright Club, featuring researchers from Oxford Brookes University alongside professional comedians. With less than 2 weeks to go until Oxford's third Bright Club, here is the latest on the amazing line-up! Headlined by Tom Toal, or T-Squared - comedian, writer and actor. "Star of the first half was undoubtedly the charmingly ironic Tom Toal. T-Squared, as he calls himself in one of several supposedly hip third-person nicknames, has a quirky outlook and the gags to match ... The T-Dog is certainly one of the most promising of today’s emerging comics." - Steve Bennett, Chortle. Can you turn your work into a short, stand-up comedy set? Sign up for June Bright Club! Bright Club is open to local researchers, academics and experts from all disciplines - science, arts, humanities - the more the merrier! • Free training is provided (you’ll need to be available on Tuesday 29th April in the evening) - learn tips on how to make your lectures and presentations more engaging, in a fun and friendly environment! 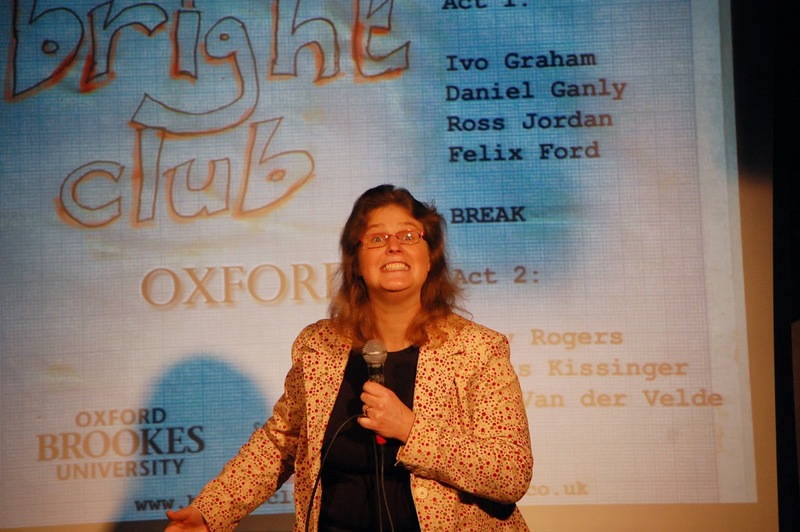 Bright Club made a triumphant return to Oxford last month, as four researchers and two comedians, Ben Van der Velde and Joe Wells, put on a brilliant night of comedy to a jam-packed Jericho Tavern. Grant kicked things off, and set the tone for the evening with a selection of bum jokes and a discussion on the metrication of a f**kload. And how could we expect an astrophysicist to get through a comedy set without at least one reference to Uranus?! Fran contemplated life as a particle physicist, and described the quest to discover new particles as being like ‘physics fan fiction’; the equivalent of imagining if Gandalf had an invisible but much heavier twin. 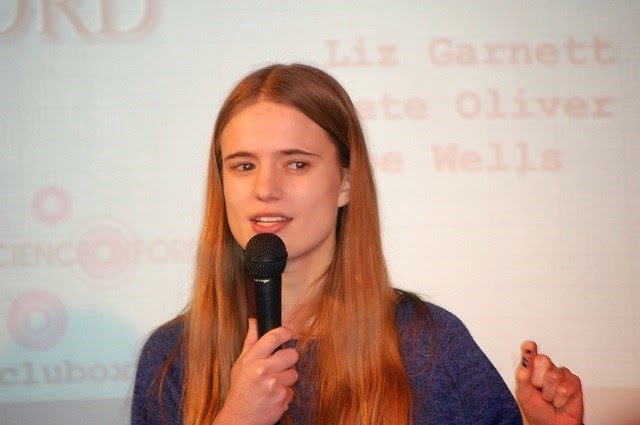 Liz got us thinking about the difference between being a member of a choir and being a member of the Church of Scientology – turns out, not much. 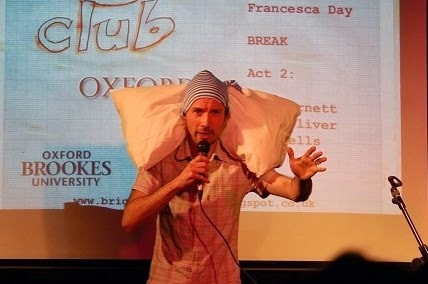 And the award for best prop of the night went to Pete and his portable pillow, with a ‘unique’ demonstration of what your sleeping position says about you. Visit our Flickr page for more photos. Bright Club Oxford returns in June, so watch this space!